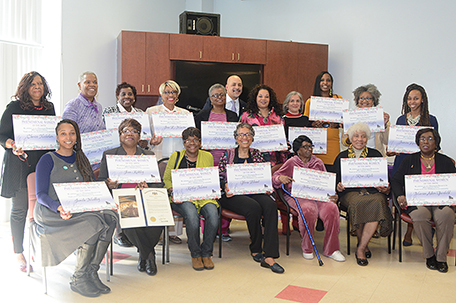 Pennsylvania State Rep. Christopher M. Rabb hosted the 2nd Annual “Phenomenal Women of the 200th District” awards luncheon”on March 15 at the West Oak Lane Senior Center. The event celebrated a diverse range of women from the 200th District who make invaluable contributions to the community. The women honored are the unsung heroes of the 200th District, Rabb said. The 2019 Phenomenal Women of the 200th included an intergeneration group of outstanding honorees; Jean Kirkley, Jamila Medley, Angela Vinson-Burton, Cherese Akers, Jasmine Hawkins, Velma C. Fisher, Danielle Johnson, Gloria Blount, Jacqueline Daniels, Anna Smith, Councilwoman Cherelle Parker, Denise Minor-Gilbert, Clarice Nicholson, Shant’e Williams, Jene Martin, Marian Aiken Garfield, Beulah Trey, and Philadelphia Sunday SUN publisher Catherine Hicks. Young honoree Jamila Medley, (joined by her husband Ralph Medley) and Rabb volunteer Bernyce Mills- DeVaughn are perfect examples of the intergenerational diversity of exceptional women. 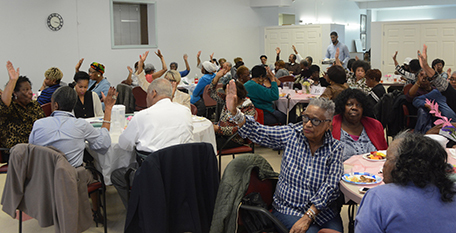 Medley is the executive director of the Philadelphia Area Cooperative Alliance (PACA), where her mission is securing and ensuring that cooperative values thrive in Philly and the surrounding area. I wish I could have spoken with all of the phenomenal honorees. But here are glimpses of who the rest of these very special women are. A Pennsylvania House of Representatives citation was awarded to Sgt. Kathryn Thompson, the first African-American female sergeant assigned to the Philadelphia Mounted Patrol Unit. She dedicated 30 years of service to the Philadelphia Police Department. Jean Kirkley is the founder of the locally established nonprofit caregiver support group called Boomers R Heroes. She freely assists caregivers in distress and provides resources for them. Angela Vinson-Burton is a loving wife, mother, educator and businesswoman. Vinson-Burton has served her community for the last 20 years in service to children and families. Cherese Akers dedicates herself to community work through her non-profit organization, “We Heard You Mentors.” She inspires and mentors young boys in the community with hands-on workshops, group trips, retreats and much more. Jasmine Hawkins co-founded “Urgent365” – a community- building, social activism organization in the district. An accomplished college graduate, sports athlete, and veteran high school teacher, Hawkins is also a huge contributor as a community builder and social activist. She starts in the classroom by helping to cultivate the minds of our future. Velma C. Fisher was widowed at 40 and raised six teenagers by herself and various children in the neighborhood. She has mentored many more than her seven surviving children. Two are teachers and one is a policy services technician for a healthcare company. Danielle Johnson is a wonderful, single parent. Divorced over 14 years and the mother of three teenage boys, Johnson works as a registered nurse case manager. She has done an excellent job raising her sons. One is a freshman at Millersville University. Gloria Blount consistently serves friends and community whenever there’s a need; it doesn’t matter what the day or hour. She is active in her church and serves on the education committee. Jacqueline Daniels cares for her daughter and grandchildren, and provides shelter, clothes, and food for her friends. She is an inspiration to all who come in contact with her. Anna Smith is a trustee of her church and an active member of several social and professional organizations, yet she still finds time to volunteer at The Business Center. She has served as a volunteer for over three years. Councilwoman Cherelle Parker has done a marvelous job serving the Mount Airy neighborhood. Prior to her election to City Council in 2015, She served for 10 years as the state representative for the 200th legislative district in the Pennsylvania House of Representatives, where she made history in 2005 by becoming the youngest African-American woman ever elected. Denise Minor-Gilbert is always there for those she can help. She has become a friend, calling and driving me to church and Rep. Rabb’s meetings. All thanks to her for being a thoughtful, helpful, and kindhearted person. Clarice Nicholson has dedicated her life to service by first serving in the military, and now serving her community through charity work. She was recently recognized for her service in the military as a part of the “I am not invisible” champion, which highlights and celebrates military women in our community. Shant’e Williams is an advocate for youth. 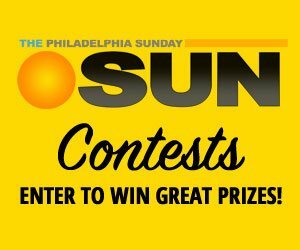 Her message is, “speak life” into our children rather than the usual complaint, “These kids today…” She is the founder of the Philly Youth Awards which honor youth doing positive things throughout the City of Philadelphia. Williams makes it her mission to help people recognize the good that shines from the youth in the city. Jene Martin is a retired educator and commits herself wholeheartedly to any project she undertakes. She is active in her community and church. Marian Aiken Garfield retired as a teacher for the Philadelphia public school system after nearly 40 years. She continues to teach the children at her church during the summer for various programs. Garfield also helps those in need by volunteering at a neighborhood food pantry. Beulah Trey is an experienced master coach and expert at transforming organizations, leaders, and teams to navigate the unpredictable, informal side of organizational life through a values-based approach. Last year, she expertly facilitated a very contentious community meeting on the quality of life crisis caused by visitors to Devil’s Pool. Her leadership helped the neighborhood come together and to work collaboratively with the city to address and solve this challenging situation. Congratulations to the dedicated volunteers who have been tremendous helping hands at Rep. Rabb’s three satellite offices and various events in the community; Ruby Zeigler, Barbra Sconiers, Bernyce Mills- DeVaughn, Kathy Moore, Rosa Keele, and Regina Robinson. Kudos to the 200th District staff: Danielle Duckett, policy director; Foluke’ Bennett, director, constituent services, and Carla Johnson, director, community engagement. For more information, contact State Representative Chris Rabb located at his 200th Legislative District office, 7216 Germantown Avenue, Phila., PA 19119, by phone: 215.242.7300, or visit: www.pahouse.com/rabb. Follow Rep. Rabb on Twitter, Facebook and Instagram @ www.instagram.com/reprabb/.